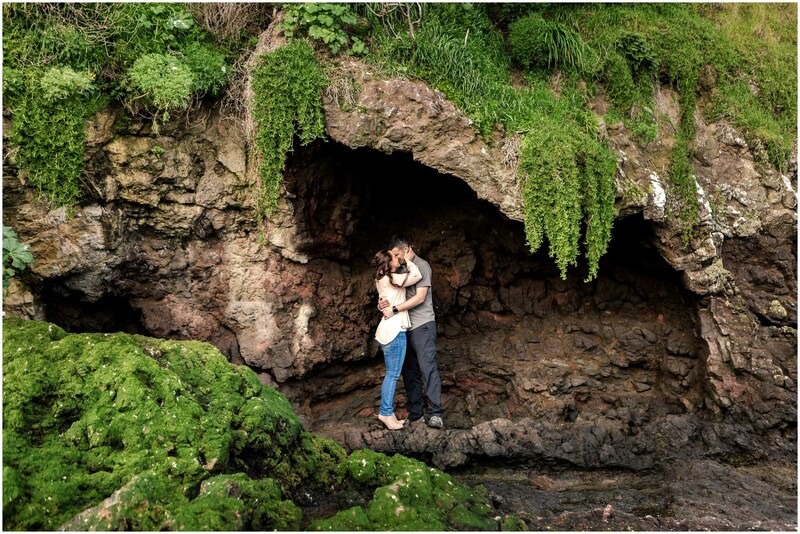 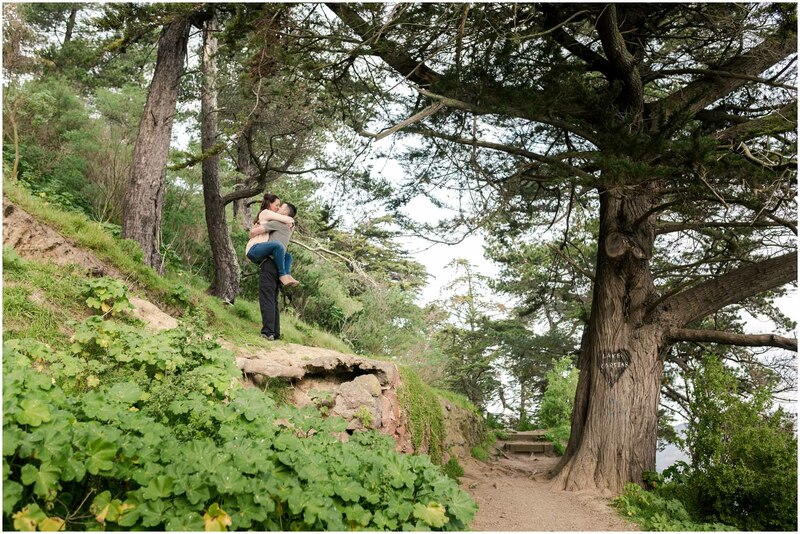 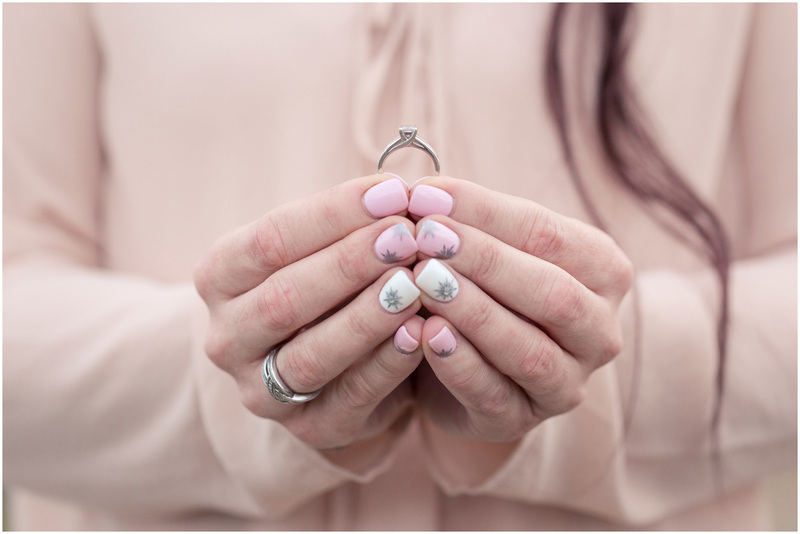 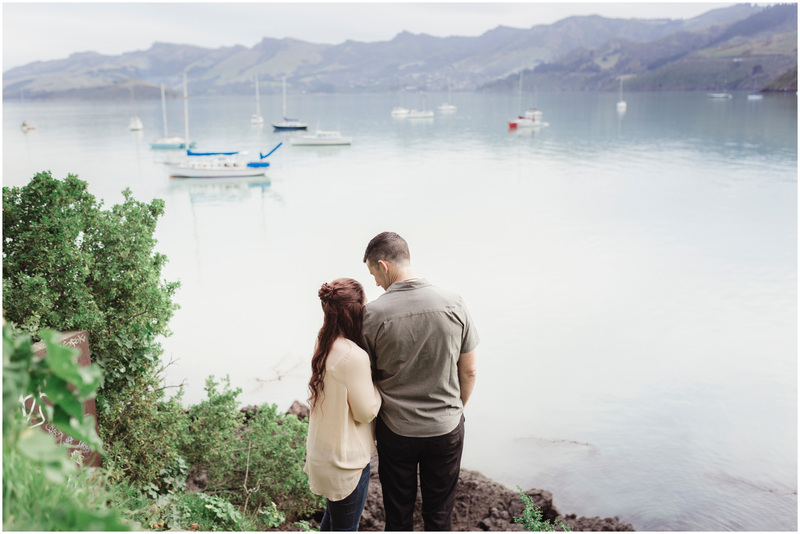 With Tim and Charlie’s wedding just days away it is high time I share some of the images from their engagement session! 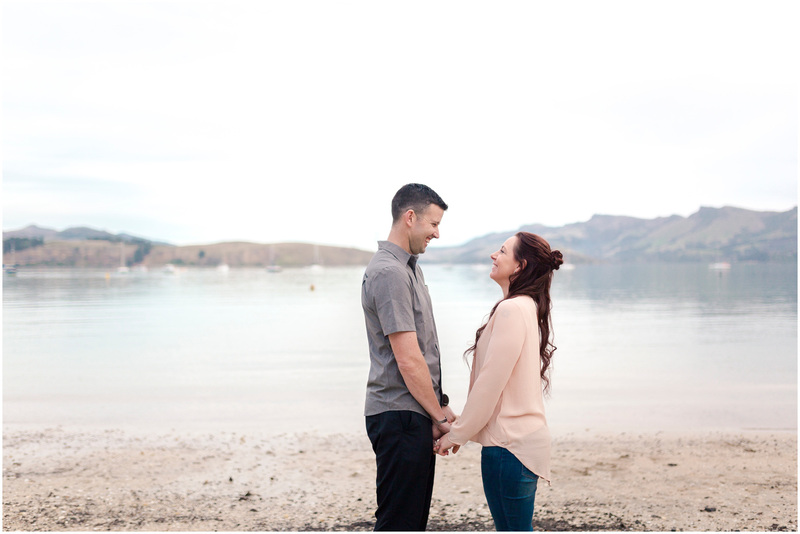 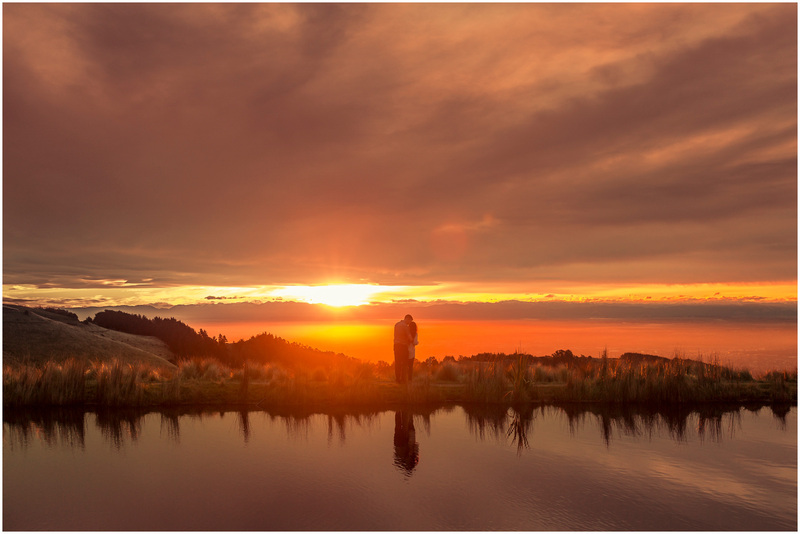 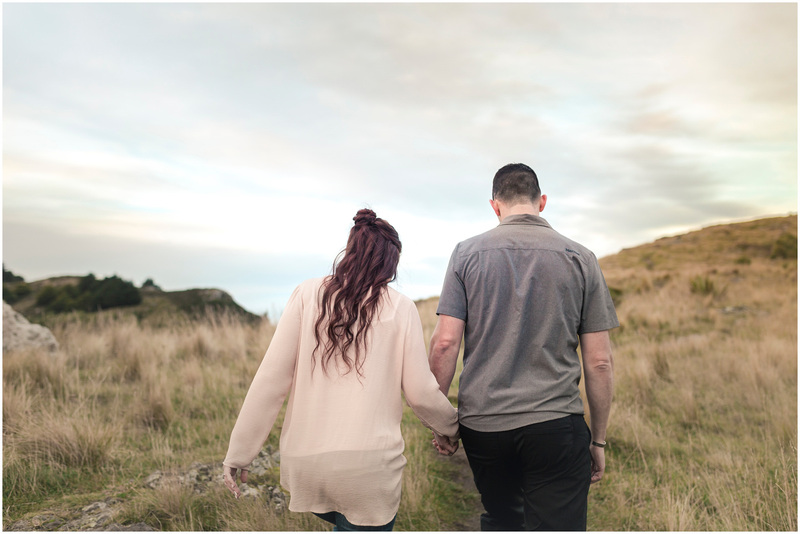 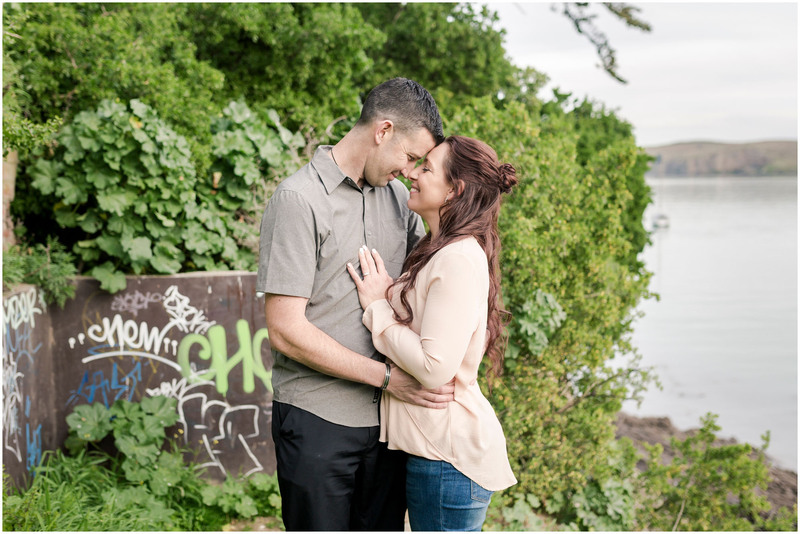 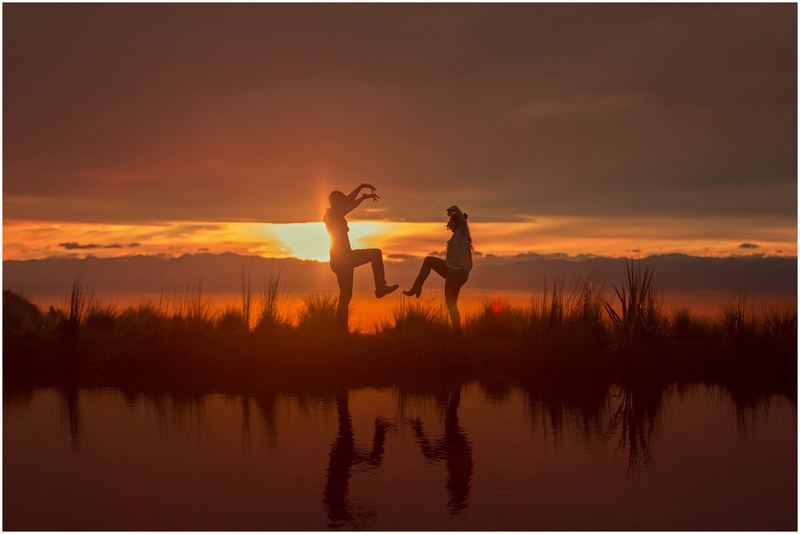 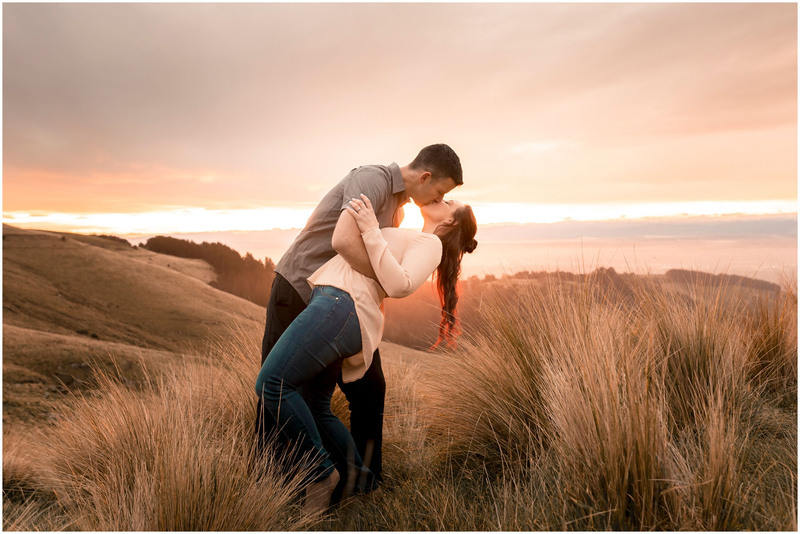 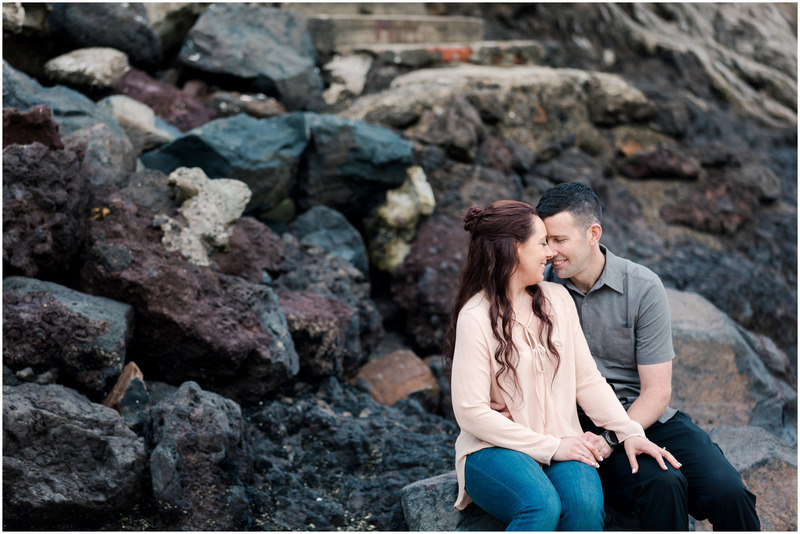 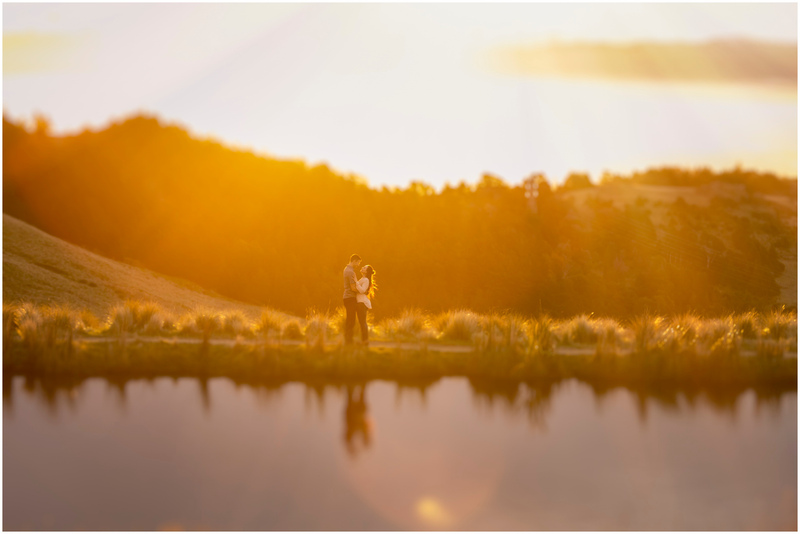 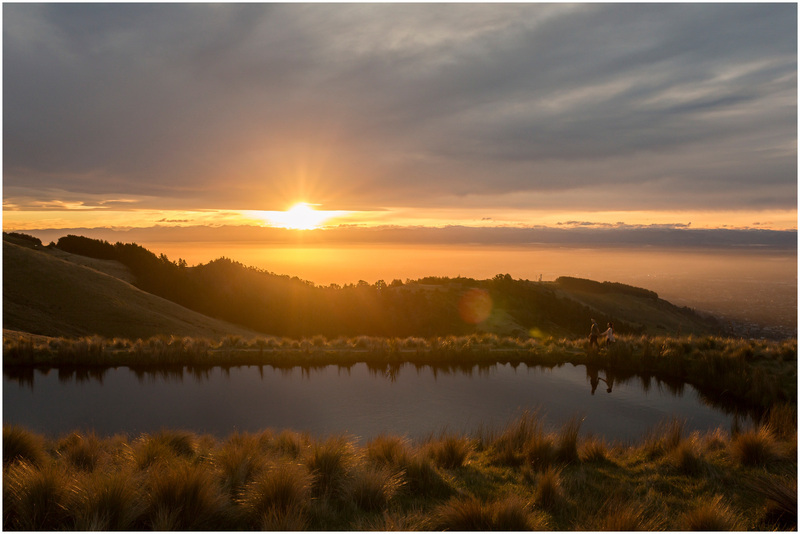 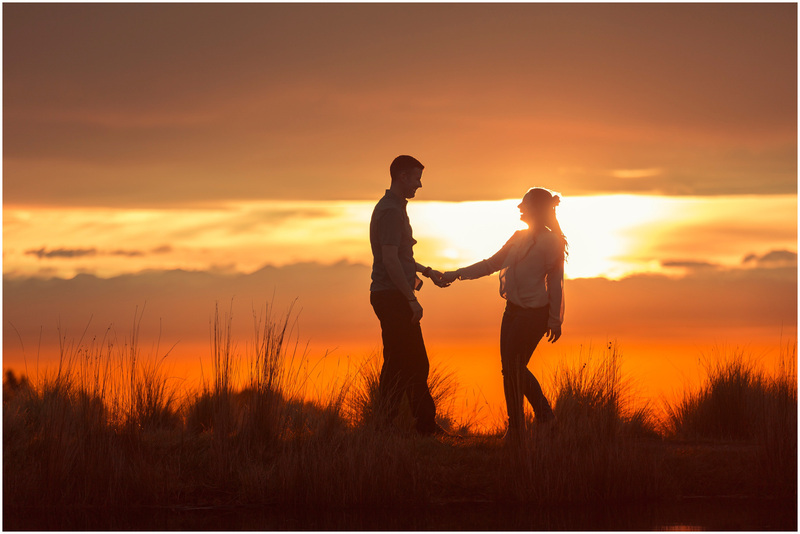 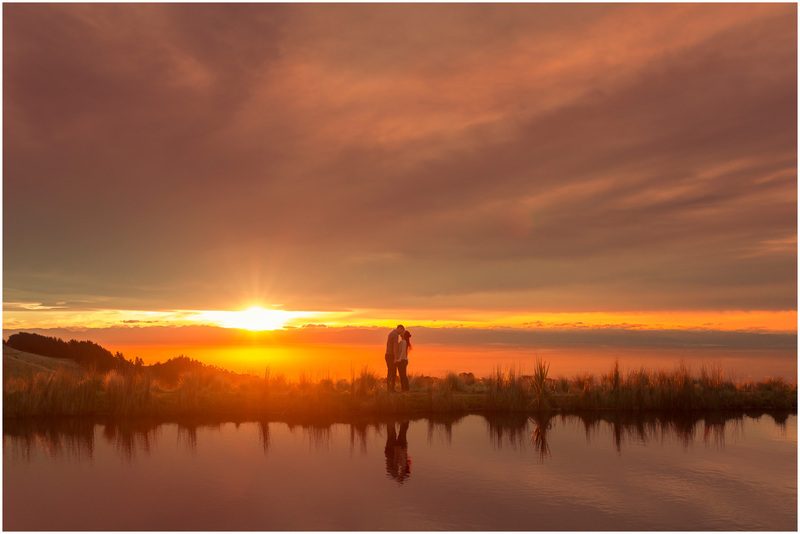 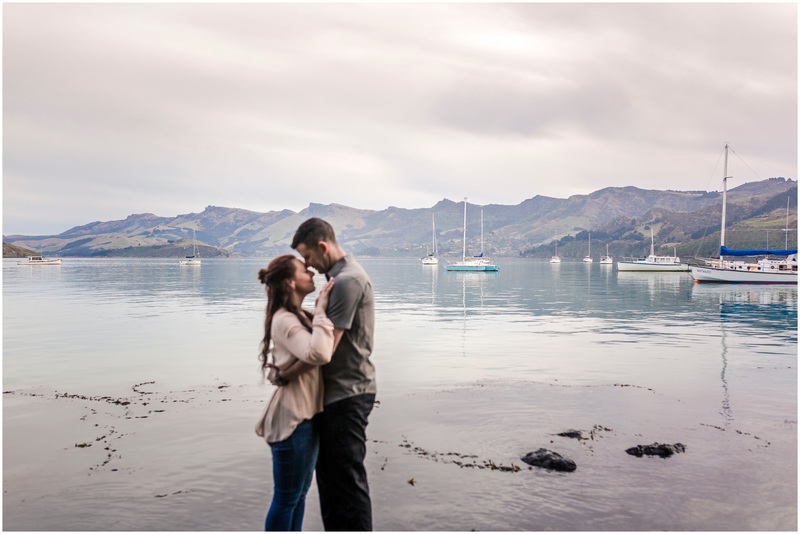 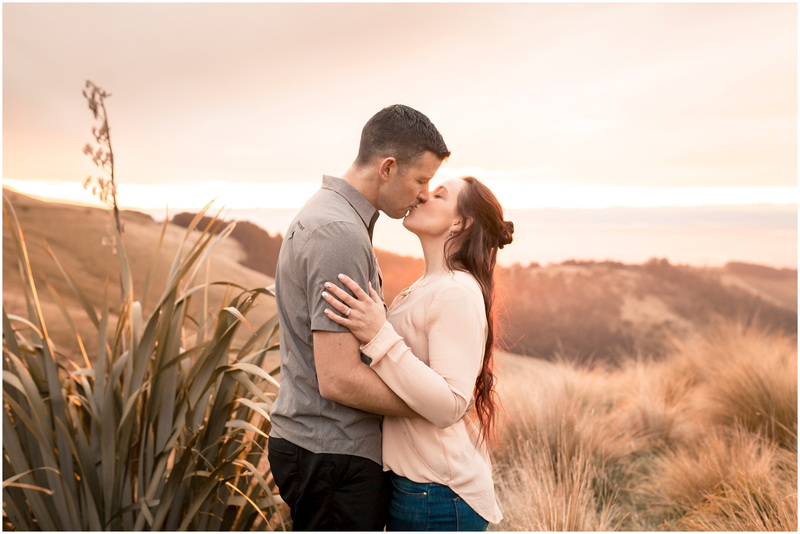 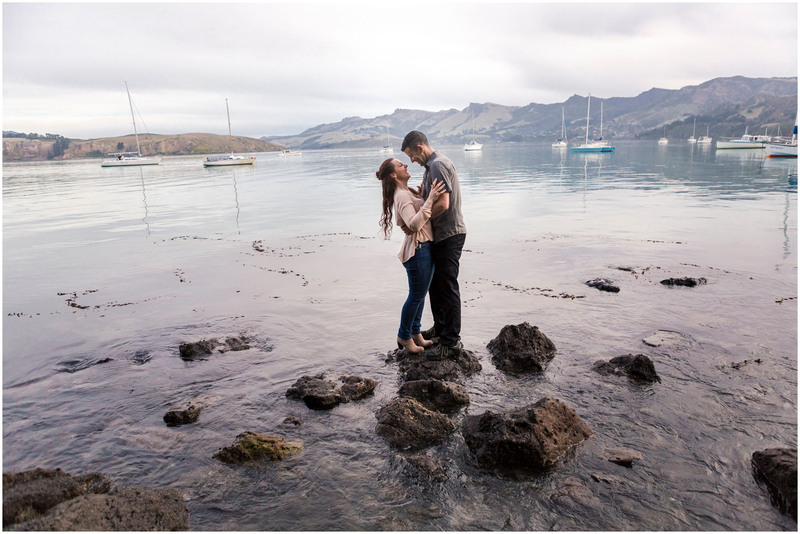 We met at Corsair Bay before shooting up to the Port Hills for sunset. 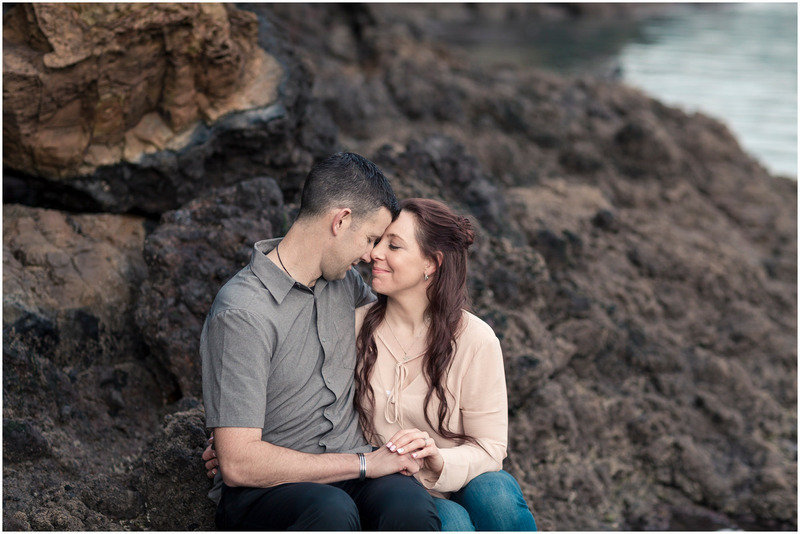 My husband Pete came along too – it is always such a pleasure to shoot with him! 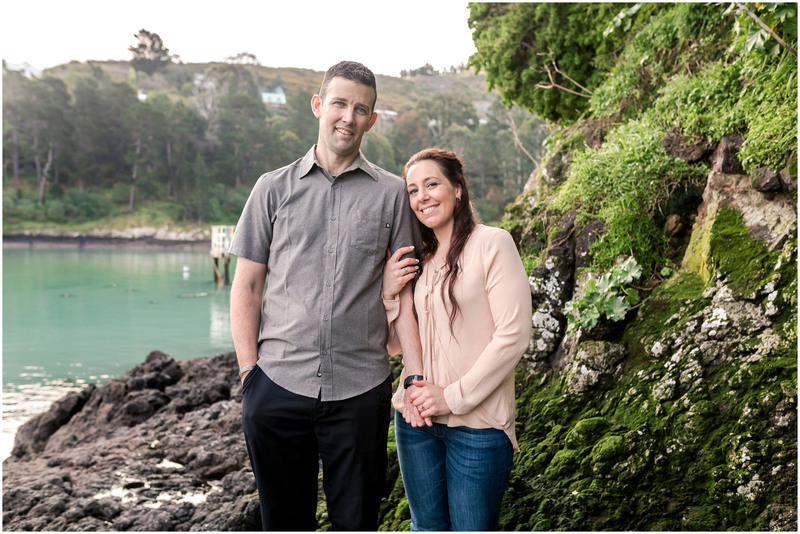 We had an absolute blast with Tim and Charlie – they are up for anything and have a great sense of humour. 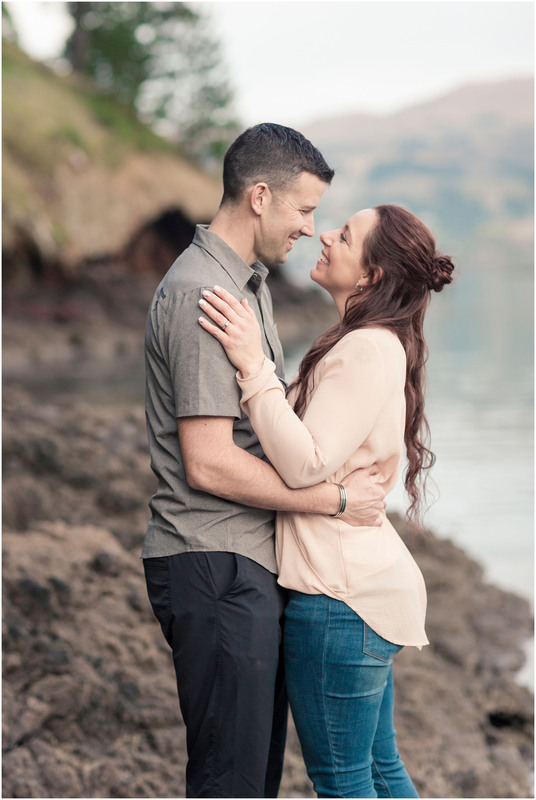 They have so much energy for life, for having a laugh and for each other – their joy is contagious.